A legend among the Orcs of Mordor, Forthog Orcslayer is an unstoppable warrior who saves Mordor’s mightiest heroes at their moment of greatest need. 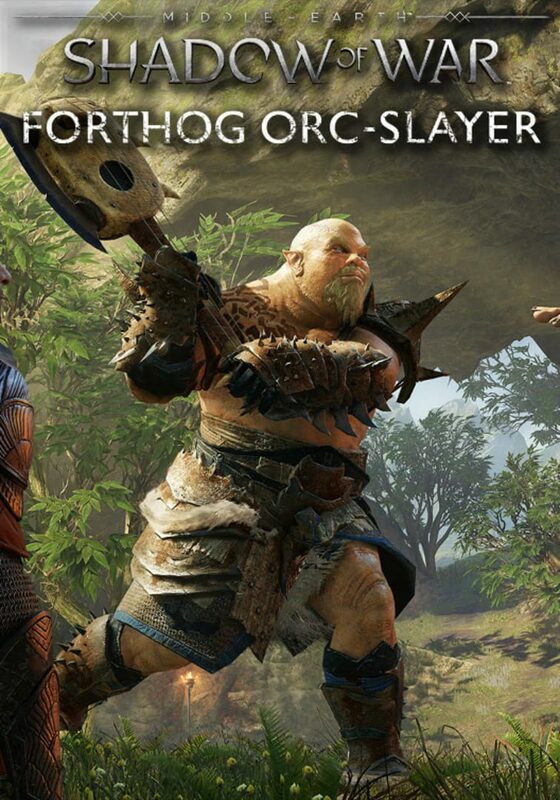 Forthog Orcslayer was made to honor Executive Producer: Mike "Forthog" Forgey. Originally priced at 4,99$ where all profits was to go to the Forgey Family, It was later changed due to charitable promotion laws in the US and European nations, and was instead released as free DLC. Mike "Forthog" Forgey was our Executive Producer and great friend here at Monolith. He was always ready to leap into the fray and save the game whenever and wherever he was most needed. We lost Mike to cancer during the development of Shadow of War, and we want to remember and honor him with a little bit of immortality in Mordor. The legendary Forthog Orcslayer is our way to continue having Mike leap into battle and save us when we're down. We hope that you will share in the experience of being saved by the legendary Forthog Orcslayer as you enter the land of shadow.